Kevin Anderson - Bio, Books, & Articles - Is Genesis History? Dr. Anderson is currently Director of the Van Andel Creation Research Center, as well as project leader of the Creation Research Society’s iDINO project; an investigation of the preservation of tissue in dinosaur fossils. He obtained his PhD in microbiology from Kansas State University, and subsequently received post-doctoral training as a National Institutes of Health Post-doctoral Fellow. He has held university professorships, where he taught graduate-level molecular biology classes and served as the major advisor for several master’s and doctoral students. More recently, he was the director of laboratory research for a biotech energy company. He has published numerous articles in technical journals as well as presented at national and international science conferences. 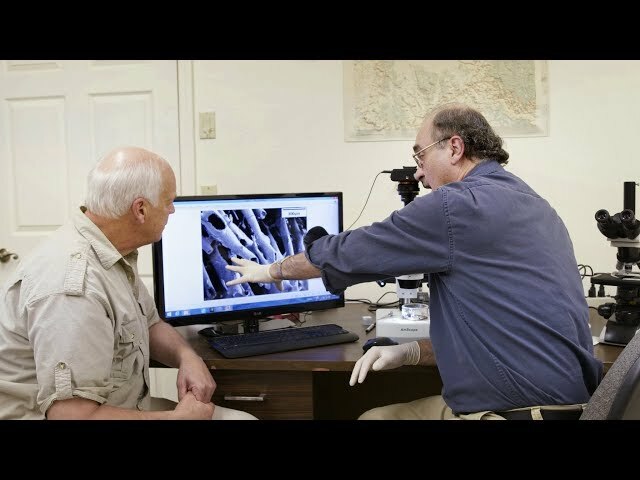 What are the Implications of Soft Tissue in Dinosaur Fossils? Salivary Protein: Evolution or Just Adaptation? Could Life Have Evolved Multicellular Systems? Just How Random are Mutations? How are New Genes Made?